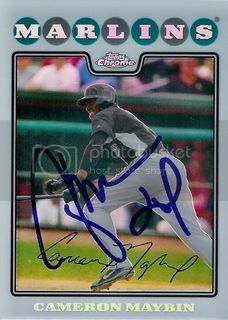 How did you get a signature to look so good on a chrome refractor? Nothing too special. Prepped it with an eraser first to weaken the gloss and then just your basic blue Sharpie. This one scanned pretty well.